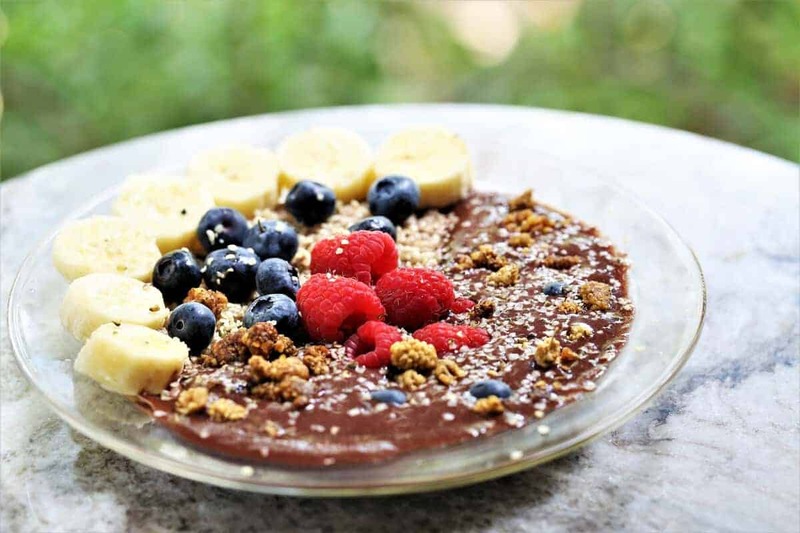 Acai Breakfast Bowl is perfect any time of day--for a meal or a snack. Breakfast–the most important meal of the day, or so they say. 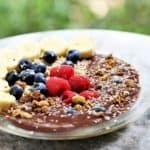 Quite frankly, this Acai Breakfast Bowl would be perfect any time of the day–breakfast, lunch, dinner or snack. Loaded with fruit, fiber, protein, antioxidants and nutrients, it fills you up for a meal or treat. Vegan, gluten free and dairy free. Acai Breakfast Bowl. Fresh, nutritious and delicious any time of the day. Vegan, gluten free, dairy free. Add cooked oatmeal to bottom of bowl.